Celebrity brides are just like other brides; they want a ring that is as individual as they are and one that will show her style. The main difference between famous brides and other brides is the size of the stone in the ring, and many extravagant celebrities chose equally extravagant engagement rings. When Elizabeth Taylor married her third husband, Michael Todd, she wore a 30-carat octagonal cut diamond. Lady Diana Spencer wore an 18-carat oval-cut sapphire surrounded by 14 diamonds in a cluster setting, created by Garrard Jewelers before she became Princess Diana. Michael Douglas presented Catherine Zeta-Jones with a 10-carat antique horizontal-set marquis diamond. Although the wedding was called off, Ben Affleck gave Jennifer Lopez a 6-carat radiant-shaped pink diamond, rumored to have cost $3 million, when he proposed to her. 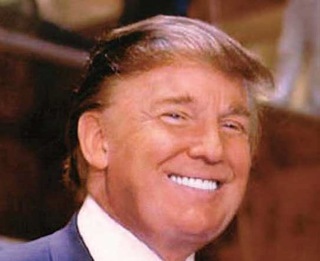 “The Donald” proposed to Melanie Knauss with a $1 million 12-carat step-cut ring. Queen Elizabeth’s 3-carat platinum ring is classically surrounded by five smaller stones. The ring Joe DiMaggio presented Marilyn Monroe with: A platinum eternity band with 36 small baguette diamond stones. JFK’s 3-carat emerald ring accented with three more carats of smaller stones which he gave to Jackie Onassis. Jessica Simpson’s unique pear-shaped 4-carat stone in a platinum setting with a single side stone on either side. Tom Cruise’s classically shaped oval-cut 5-carat diamond held a pave setting, which he gave to Katie Holmes. Reese Witherspoon’s choice of a 1920s-style art deco setting to hold her 4.5-carat Asscher-cut diamond. Camilla Parker-Bowles’ decision of an emerald-cut diamond with baguettes on either side, held in a platinum art-deco styled setting. Star Jones’ selection of a princess-cut diamond. Madonna’s 5-carat total weight three-stone design held in a bezel setting. Many brides take their inspiration from such celebrity engagement rings, and it’s important that each bride be a celebrity on her important day. Thus, many replica rings are available, and many jewelers can help brides create their own ring styled after a favorite celebrity engagement ring. Most couples do not have the bottomless bank accounts of their favorite celebs, making exact replicas unattainable. However, impressive replicas can be made with lesser-quality jewels, such as cubic zirconia, and be kept both to scale and in budget. Most times, these rings can be made of such high quality that none except skilled jewelers under close scrutiny can detect that it is not a natural diamond or platinum setting. Man-made stones, such as cubic zirconia, are another beautiful choice when considering a celebrity engagement ring replica. Cubic zirconia really is the “grandfather” of all synthetic, or man-made, diamonds. While cubic zirconia is widely available, its quality can fluctuate, so when considering using CZ as a stone make sure to research the jeweler’s quality before buying. Russian “diamonds” such as Russian Brilliants and Russian Stars are one of the highest-quality forms of cubic zirconia available on the market. These synthetic diamonds are very reasonably priced for their quality, around $280 per carat, and are frequently used in the finest jewelry pieces, including precious metal settings. These simulates are great quality stones for replicas of some of the most expensive engagement rings. Moissanite is a step above the Russian simulants, both in quality and in prices. At around $500 per carat, these stones will, just like diamonds, cut glass. Moissanite stones have been very popular since their entry into the market in the 1990s, but can be easier to spot to the trained, naked eye—moissanite can have a greenish tint to it in natural light. Even with that in mind, moissanite has a much higher radiance and brilliance than natural diamonds, making these stones much more “sparkly” than natural diamonds, making them another great choice for expensive engagement ring replicas. For those interested in replicating non-traditional celebrity engagement rings, such as J. Lo’s 6-carat emerald cut pink diamond ring, a Gemisis diamond is a great synthetic diamond at a reasonable price. Gemisis is the perfect choice for those looking for colored man-made diamonds because they are not available in the traditional clear, white coloring, but are available in breathtaking yellows, oranges, and pinks. Diamond Nexus stones are the newest technological breakthrough in synthetic diamonds. These stones are the closest to diamonds in hardness on the Mohs scale—they are able to cut glass—and refract perfect hearts and arrows, just like natural diamonds. Also almost identical to flawless natural diamonds is the Diamond Nexus’ radiance and brilliance readings, but what is really breathtaking is the Diamond Nexus’ price tag: $79 per carat! Another way of creating a celebrity look-alike engagement ring is to, instead of one large center stone, use several smaller stones arranged in a cluster-like setting to mimic the eye-catching feature of a large stone. The largest part of a celebrity engagement ring’s price tag is the size and cut of the largest stone, usually a center-cut diamond, and by using a cluster of smaller stones or chips, a comparable replica can be created at a more affordable price. Where is the Biggest Cost? Size is probably the biggest determining factor in a finished diamond’s price. The size of the finished stone is really determined by the size of the raw diamond mined from the earth, and as such, larger diamonds are more expensive than smaller ones. It is impossible for a jeweler, no matter how experienced, to make a diamond larger than when it was first mined. All diamonds lose substantial size and weight during the finishing process, because of the cuts and other reductions necessary to transform the fairly unattractive raw material into the polished masterpiece displayed in the jeweler’s case. One of the first considerations that helps decide a diamond’s final price is the cut. A diamond’s cut refers to the number of facets, or faces, the finished diamond has. The more facets a diamond has, the more labor intensive it is, and the more expensive it will be. A perfect cut on a high-quality diamond can make it appear larger than it truly is, appear to have better clarity and a clearer color than it truly does, and appear to be of a better grade than it truly is. With that said, just because a diamond has many faces does not always mean that it is better than a diamond with less, and that is why discussing the choice with a talented jeweler is always important before making a final decision. A diamond’s shape is probably the most recognizable consideration which determines price. The shape of a diamond refers to the outline of the finished gem. Emerald, round, princess, pear, heart, marquise, radiant, oval, trilliant, Asscher, and cushion are all diamond cuts. Usually, the more complicated the cut the more expensive it will be. As such, rare cuts like cushions, Asschers, and trilliants are much more costly than the easier round diamonds. It is important to know that a diamond’s natural shape, clarity, size, and depth all factor into what shape it will become; for instance, a diamond that was “born” to be a square is impossible, and would be undesirable, to cut into a cushion. Thus, the more complicated cuts are not only more expensive because they can be difficult to fashion, but because the raw stones eligible to become certain shapes are rarer than others. Another very important factor in determining a diamond’s final price is the quality of the diamond itself. With natural diamonds, jewelers are really at the mercy of Mother Nature as to the quality of the stone they begin with. Diamonds that are radiant—that is, that reflect the most light—are more costly than those which do not refract as much light. A stone’s clarity—how free the stone is from internal imperfections—raises its price as well. Diamonds with the highest clarity rating of “flawless” are both rare and expensive. A diamond’s color is considered also when calculating price. Diamonds with the grade of “D” are the most desirable, as these are absolutely colorless, as found by experts in laboratories; this is important because the more color there is in a diamond, the less light it will refract, bringing down its radiance. Aside from the complexities of an engagement ring’s stone, the actual precious metal setting and band can be just as important and just as expensive. There are three types of precious metals typically used in celebrity engagement rings and their replicas: Yellow gold, white gold, and platinum. Traditionally, yellow gold is the most popular. Such settings come in 10, 14, and 24 karat gold, and the higher the carat in gold—regardless of color—the softer it will be, and the more expensive it will be. This is because 24 karat gold bands and settings contain pure gold only in the metal’s mixture, making them very soft; the lower qualities contain more “filler” alloy, but make the band and setting stronger. The more gold in a band and setting, the more expensive it will be. For those loving the color of white gold but who want a strong band, platinum is a great choice. However, the tradeoff here is price. Platinum obtains its strength from its purity and its denser weight, the two things that also make it more costly. A more economical choice for those who love the color, strength, and durability of platinum but can’t afford the cost, titanium is gaining popularity both because of its dexterity, affordability, and its ability to be painted attractive colors, especially blue and black for men’s engagement rings. Typically, a titanium band will be priced comparable to a 9k gold band. So, for ordinary couples wanting to get their own version of their favorite celeb’s engagement ring, a little bit of research can help get the desired look within the budget!